Welcome to a new month here at SuperPhillip Central, Technically, it's a new month everywhere, and not just SuperPhillip Central, but you know what we mean. It's time once again to look back at the results of last month's Central City Census. What was the question about again? Ah, yes. It regarded how many consoles you guys have hooked up at your homes currently. An overwhelming 69.23% of you said that you have 1-4 hooked up. Most of us fell into that camp. We surely envy those of you with more than 15. Big spenders, sure, but big collectors! The latter is what we are in awe at. That takes some dedication! Let's see what June's poll will ask. Something that we love discussing among our ranks at SuperPhillip Central is the concept of game collections. We love bragging, feeling jealous, and all of that fun stuff. This month's question concerns the system you have the most games for. To put it simply, how many games do you have for the platform you own the most games for? One last review to cap off the festivities that was the month of May 2013 at SuperPhillip Central. This time we're looking at a budget title that released at the start of the year. It's Anarchy Reigns. Platinum Games is a studio made up of many former (now defunct) Clover Studios employees. 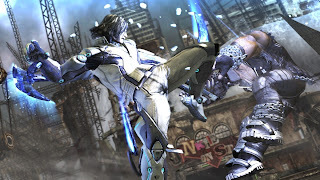 While they no doubt create excellent gaming experiences such as Vanquish, Bayonetta, and Metal Gear Rising: Revengeance, the studio has problems getting their games to sell to a wide audience. 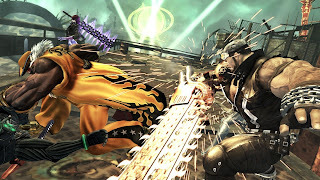 Platinum Games is at it again, but this time they have released a budget title ($29.99 MSRP, to be exact) in the form of Anarchy Reigns to try their luck at a huge hit. 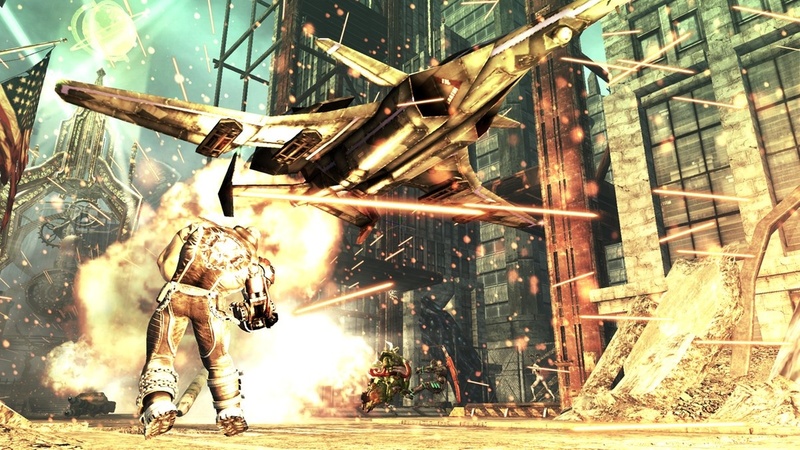 The game is a spiritual sequel of the Nintendo Wii exclusive, MadWorld. 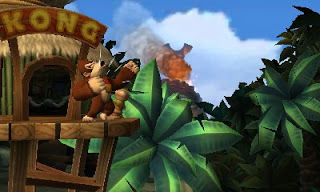 Does Anarchy Reigns prove that rules are for fools, or does this reign fall short? 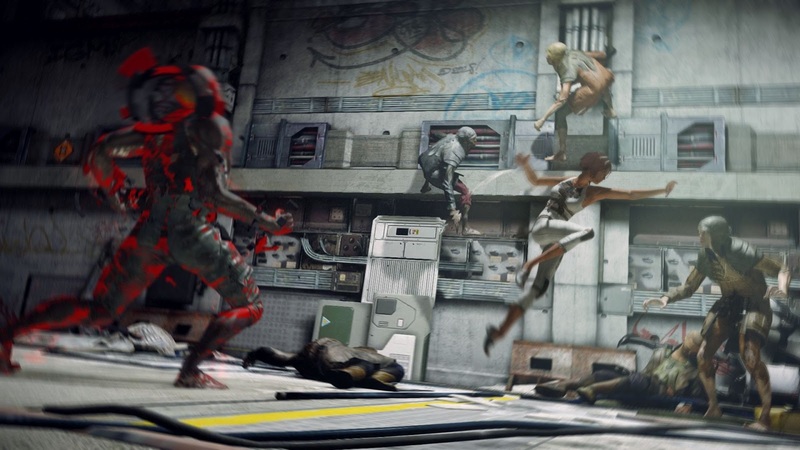 There are two halves to Anarchy Reigns' silly and honestly uninteresting story. Jack Cayman on the Black Side of things is a Chaser Guild agent who has been enlisted to help a woman find her father. Meanwhile on the other side, there's Leo Victorion, who seeks to learn more about his mentor. Both characters' paths come across one another multiple times during the course of both storylines, so there is some commonality between the two characters. It's just too bad that the actual plot, full of unskippable dialogue sequences falls totally flat. What made MadWorld so much fun is that the story was completely limited and unobtrusive, allowing players to simply play the game. This isn't the case with Anarchy Reigns, unfortunately. If by some odd chance you actually enjoy the story of the game, then more power to you. I simply didn't. When in battle, Leo lets his legs do the talking. 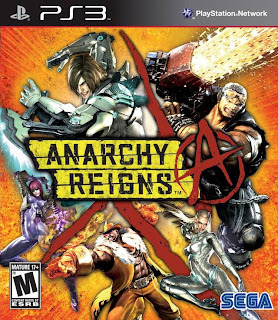 Anarchy Reigns throws players into the shoes of Jack or Leo as they follow along their own paths. You're thrust into a fairly large open world area with the objective of earning points through killing enemies (who come off more as annoyances and inconveniences rather than challenges) and completing missions, both free and story-related. 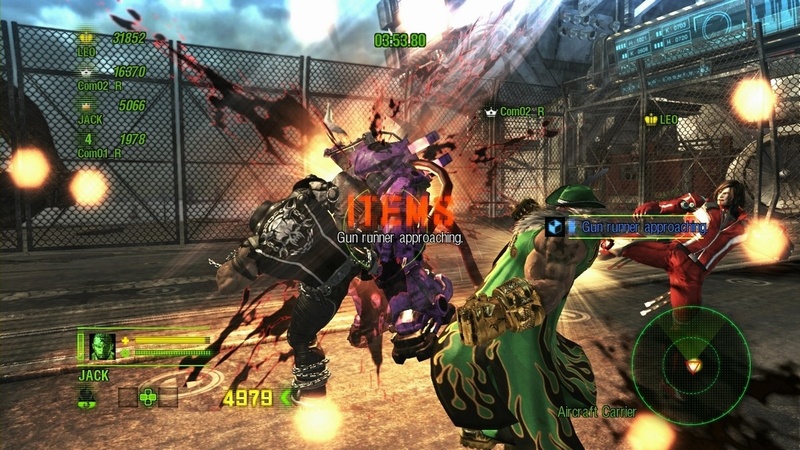 Free missions have such tasks as defeat 50 or 100 enemies within a time limit, racing on a vehicle equipped with a flamethrower as you speed from checkpoint to checkpoint and barbecue foes that stand in your way, and even riding a giant super mutant that can rampage through the map, obliterating everything in its sight. There is a decent variety of activities and tasks that are showcased in the free missions, but it can be annoying needing to replay them just to earn enough points to unlock the next story mission. You've certainly heard of the TV show Boy Meets World. Well, this is none other than Mutant Meets Chainsaw. Speaking of story missions, there are usually three or four in each open world level that need to be completed before you can move onto the next level. Generally these story missions have you taking on a boss character who will either fight you one-on-one, or call in his or her buddies to assist with eliminating you. 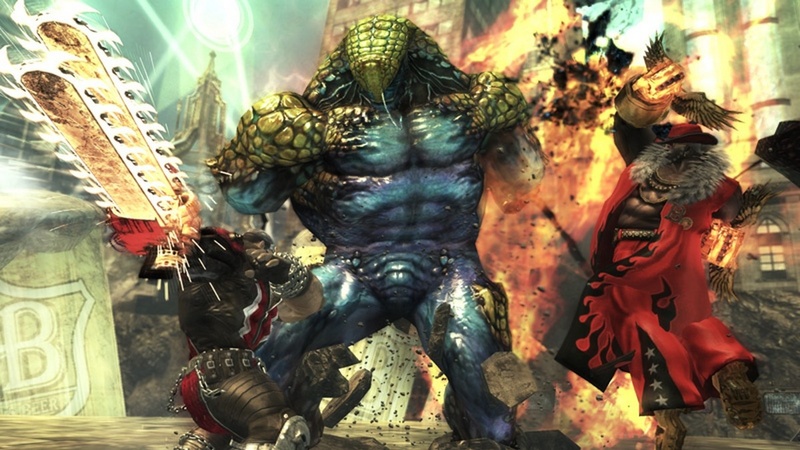 These boss fights are the coolest part of Anarchy Reigns's campaign. They're fast, they're fluid, they're challenging, and above all else, they're just plain fun. The artist formerly known as Black Baron just got beat. That's because the fighting mechanics of Anarchy Reigns are rather well done. Sure, the lock-on could be much better, as shifting between focus on foes can be challenging, and you can often whiff a lot of punches and kicks. You can also be made vulnerable because while you're locked onto one enemy, one (or several) behind you blindside you and do some serious damage. That said, everything else works well. 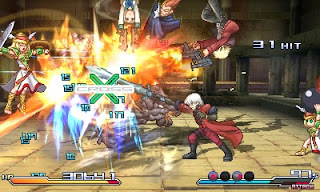 The controls are responsive, and Jack, Leo, and the rest of the playable characters have a full arsenal of moves to utilize. 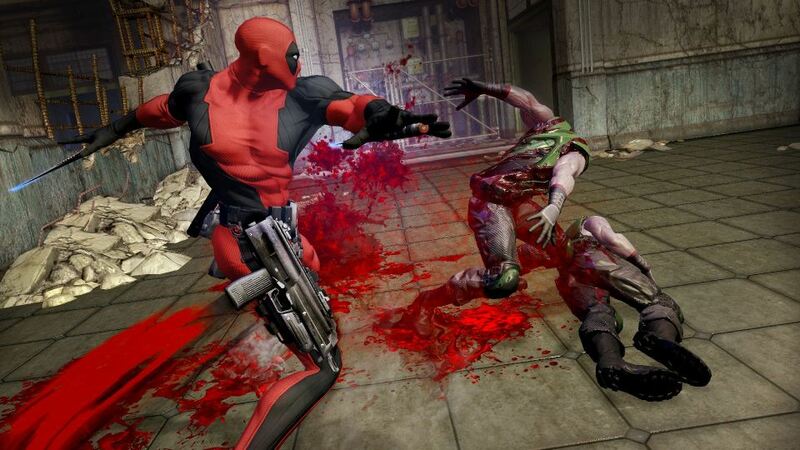 From 360 degree attacks to using killer moves, the streets will be filled with the blood of your enemies, for sure. 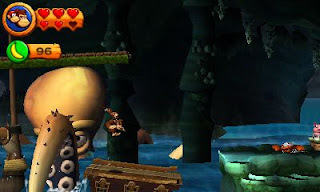 There's even a Rampage attack (performed by pressing in both analog sticks when the gauge is full) that lets you use brawn over brains to muscle through the defenses of a foe. occurrence in the world of Anarchy Reigns. Outside of the campaign, which will take most players 3-5 hours for each side, and then another hour or so for the final chapter, there is online multiplayer to be found in Anarchy Reigns. 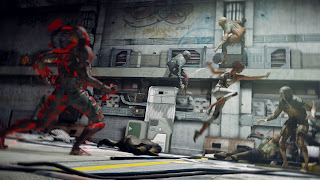 The online allows a myriad of options and modes, such as chaotic 16-player deathmatches, Capture the Flag, one-on-one battles, Tag Team, and even a rugby-type competition. The problem here is that finding a game in the mode you want is really difficult to do. It was hard to do when the game came out back in January of this year, so you can just imagine how it is many months after the fact. It's a practical ghost town, which is a pity, because what Anarchy Reigns has to offer is a load of fun. 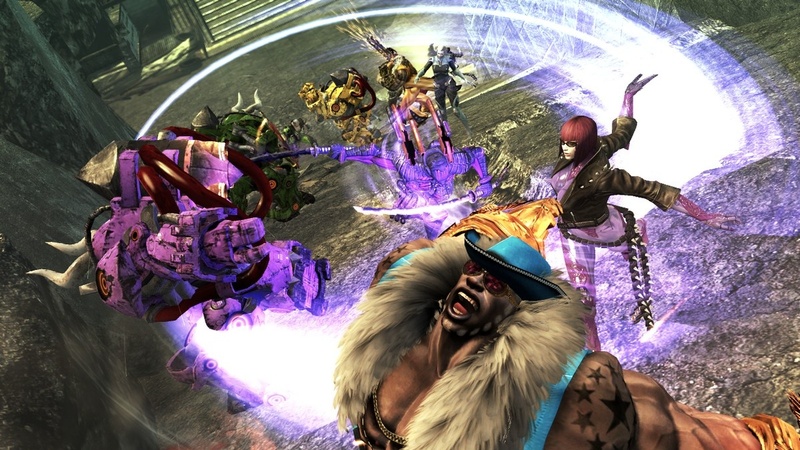 enjoy what Anarchy Reigns has to offer in multiplayer. 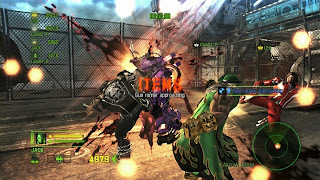 Inconsistent is the word that I think best describes the presentation of Anarchy Reigns. Incomplete character animations and punches that don't land yet still give out damage are common problems. The open world levels are a nice touch, but there's so little to do in them, despite them being lookers. Anarchy Reigns sports a soundtrack that is much more full of electronic tracks than what was heard in MadWorld, so that did little to interest me ears compared to the Wii game's songs. On the voice acting front, what's there sounds great, though the lack of proper lip-syncing is easily noticeable. 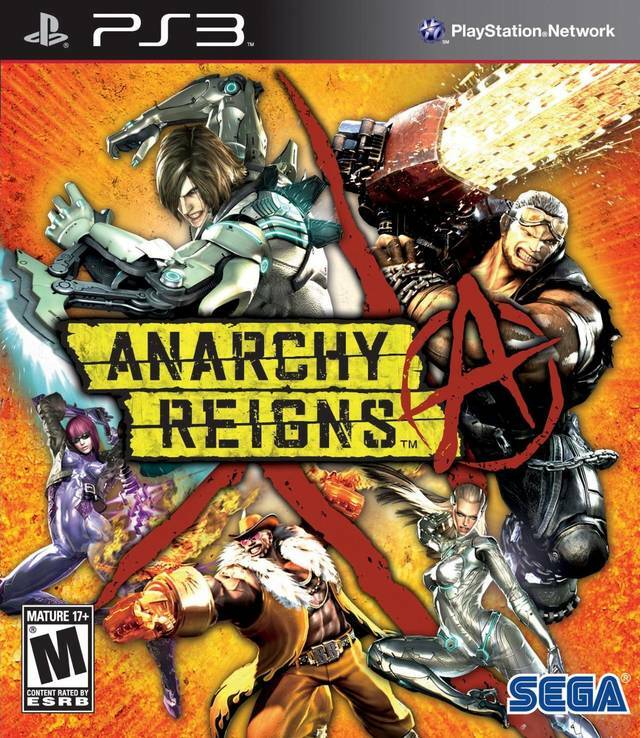 If Anarchy Reigns were a full price sixty dollar game, all of the faults that the game has would be less forgivable. As it stands, I can much more tolerate the presentation problems, the tricky lock-on controls, the tedious story, and the sparse open world levels. Underneath its brutal, ultra-violent exterior lies an incredibly competent brawler that will both challenge and entertain. It is indeed a mad, mad world, but that is definitely a good thing. A new month begins tomorrow, so it's time take a look at eight of the more interesting games to have their release dates planned for the month of June. Generally the summertime is home to the weakest releases. Not true this year. June is absolutely packed with software, and this list of eight is to help you pick and choose which titles are best for you and your wallet. As always, dates are subject to change, and these dates are only for North America. What will you be buying this month, if anything? Generally it's the start of a new generation that we get new franchises and IPs, but this generation we have Capcom bestowing us with Remember Me, an intriguing futuristic title with a mix of platforming, stealth, exploration, and combat in the hand-to-hand variety. 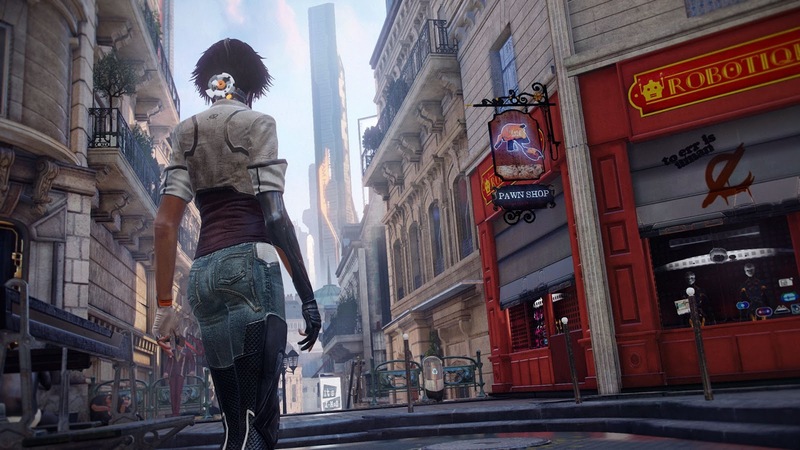 A new gameplay mechanic known as "memory remixing" has you entering the memories of a character and rearranging them for a different outcome. 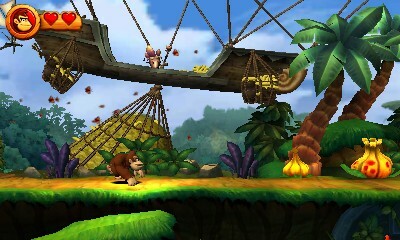 You can also nab the memories of other characters in order to progress through the game. Remember Me is an innovative new IP that seems really interesting and worth looking into. Let's hope the promising gameplay mechanics are executed well. 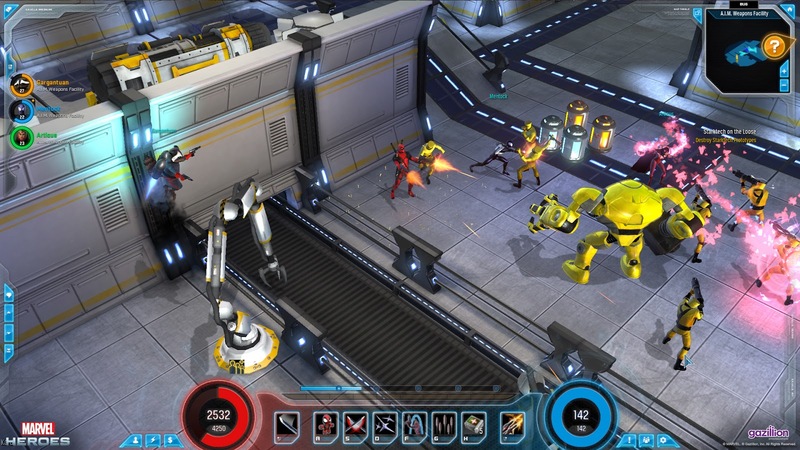 How does a free-to-play MMO/ARPG starring the Marvel universe sound to you? Well, we can't speak for you, but to us it makes our mouths water. Of course, there will be micro-transactions (Marvel's gotta eat somehow, right? ), but players need not spend a dime to experience the full options of Marvel Heroes. 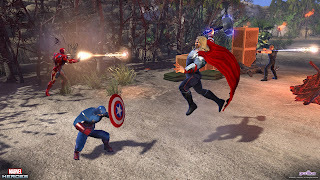 Unlockable characters include Captain America, Wolverine, The Incredible Hulk and Iron Man, as you play through a Diablo-style game and a story that pits your superheroes against the diabolical Dr. Doom. 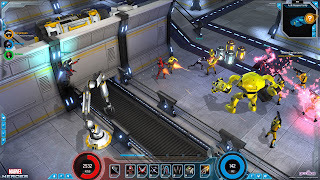 With a story written by the great Brian Michael Bendis (who worked on our favorite Marvel comic series Ultimate Spider-Man), Marvel Heroes is incredibly appealing to us, and no doubt fans of the Marvel Comics universe. 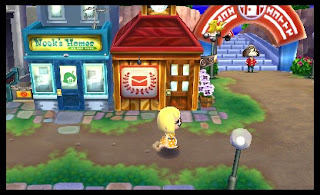 Animal Crossing: City Folk was criticized heavily for being way too similar to the DS installment, Wild World. This was quite true, so the creators of the newest iteration of the Animal Crossing series, New Leaf, have taken the criticism to heart and crafted a totally rebooted style of play. In Animal Crossing: New Leaf you're the mayor of a town, allowing you to make the important decisions of your bustling burg. 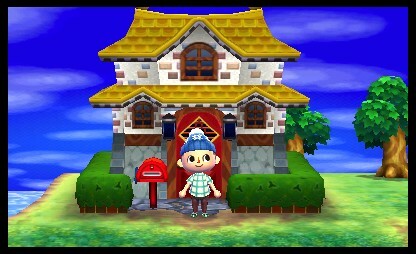 You can also customize clothing, furniture, and for the first time ever, the full appearance of your own house. 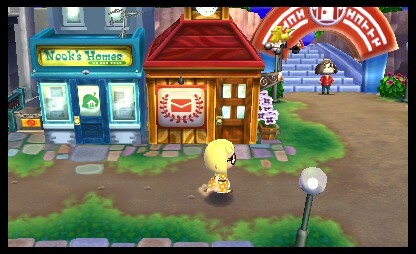 The amount of things to do in this edition of Animal Crossing greatly surpasses past games completely, making for a game that will not only last players all summer long but all year long. Another new IP to cap off the end of a wonderful (and long) generation, Naughty Dog's The Last of Us is one PlayStation 3 exclusive that PS3 owners are feverishly anticipating. And why wouldn't they when you have the creators of Jak & Daxter and Uncharted making the game? 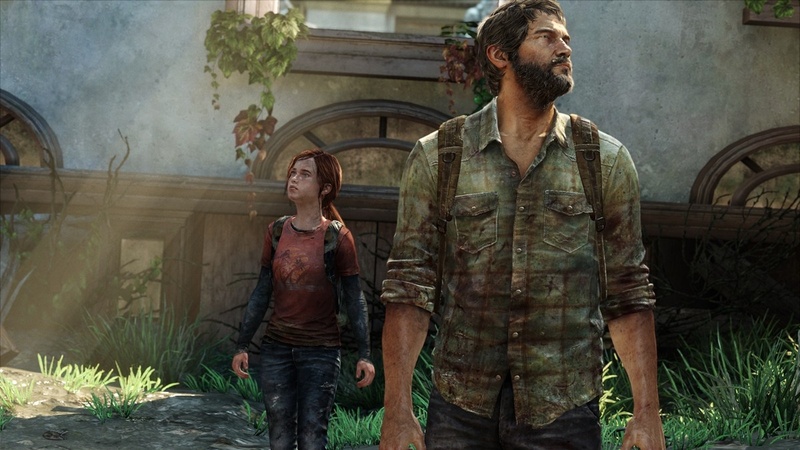 Journey across a post-apocalyptic United States as Joel and Ellie as they do their best to fight for survival-- by any means necessary. 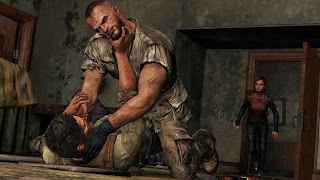 Pending on the circumstances, Naughty Dog has it so enemies will react accordingly to the player. 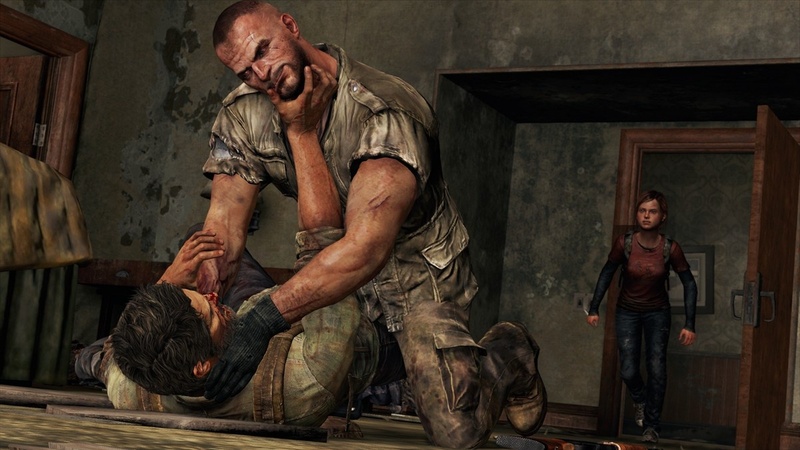 if Joel is reloading, enemies will take the opportunity to go after him. It's this level of genius AI that makes The Last of Us so compelling. Well, for some people, that and the intense violence. Mini-game collections are no stranger to Nintendo platforms, and quite frankly many have long since grown tired of them. That said, Game & Wario looks like a satisfying and entertaining party game featuring sixteen unique mini-games, all of which utilize the Wii U GamePad in innovative and enjoyable ways. 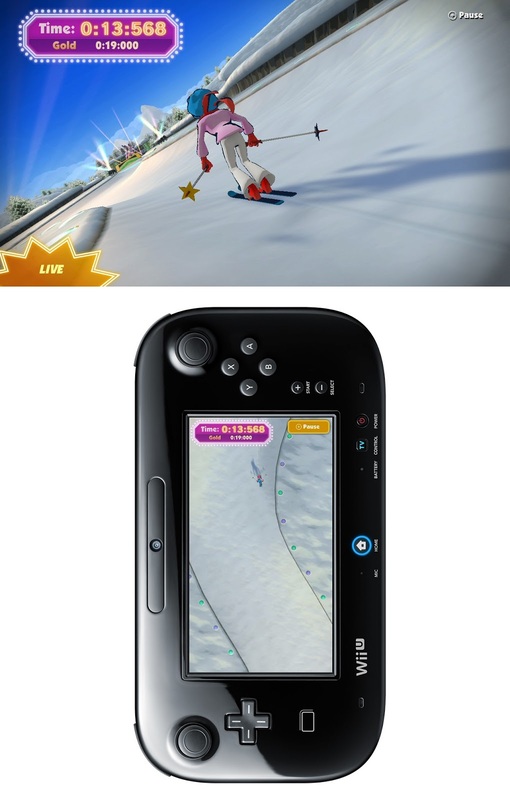 For instance, in Ski, you control Jimmy T while he skis through a path of twists and turns, twisting the GamePad to maneuver the character. These games earn the player tokens which can spent in the Cluck-a-Pop capsule machine to earn new toys and gadgets. Game & Wario was originally devised to be a pack-in game with the Wii U, so we'll see if Nintendo changing that up was the smart decision when the game releases on June 23.
Who is awesome besides Deadpool? Why, no one, that's who. 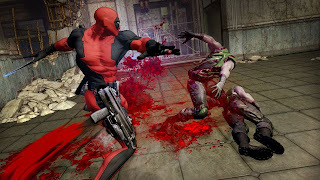 The game Deadpool stars the titular character shooting and using melee moves to take out enemies of all shapes and sizes. 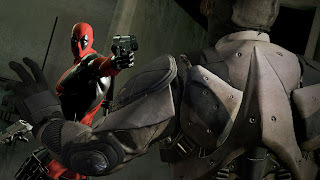 It's a third-person action game where as the game progresses, Deadpool will learn new combos to use on the lackeys he comes across. That's not where the fun ends either, as Deadpool loves to break the fourth wall, and will often critique the player's progress. This M-rated title is sure to excite fans of the humorous comic book character with a bloodlust. A game that we wished would be localized actually did get localized, much to our immense surprise. We were halfheartedly thinking Project X Zone could be localized, and then the announcement came. Regardless, Project X Zone is a crossover title featuring characters from Namco Bandai, Capcom, and SEGA. In total, there are over 200 unique characters being represented (both playable and non-playable) in the game from dozens upon dozens of video game franchises. 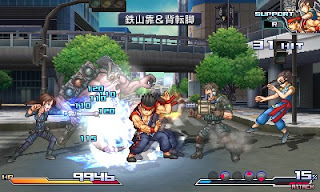 The actual gameplay consists of grid-based maps and real-time battles, making for some absolutely positively splendid action. We are without a doubt excited to finally get our hands on this game that many thought would never reach our side of the Pacific. 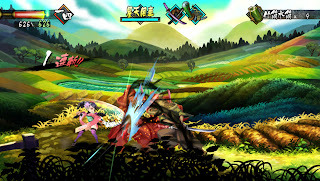 Muramasa Rebirth is a remake of the 2009 Nintendo Wii Vanillaware game Muramasa: The Demon Blade. 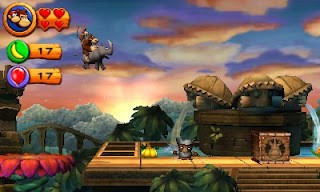 The Wii version already looked absolutely gorgeous with its vibrant art style, and that was in standard definition. 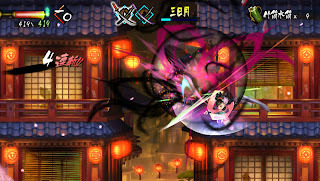 Muramasa Rebirth will feature all of the content of the Wii game, including four new scenarios and four new playable characters. The icing on the cake is seeing the glorious beauty of the game on the PlayStation Vita's jaw-dropping OLED screen. Feel envious of Vita owners, Wii gamers, as this is the definitive Muramasa experience. Part of the Year of Luigi, New Super Luigi U features over 80 new courses, a new playable character in Nabbit, and a whole new level of challenge. The downloadable version of New Super Luigi U releases in North America on June 20, while the retail boxed copy arrives late August. We cap off this Thursday night with a retro review. It's a big one, as this game is on many folks' list as one of the best games ever made. Give up on which one it is? Well, you should already know because the title of this entry sort of gave it away... It's Super Metroid for the Super Nintendo and now Wii U Virtual Console. Almost twenty years ago, Super Metroid released on the Super Nintendo, and it was greeted with great sales and even better reviews. To this day, the game is seen as one of the Super Nintendo's best titles, and one of the best games of all time. Why is this, though? That is what SuperPhillip Central wants to investigate with this very review. 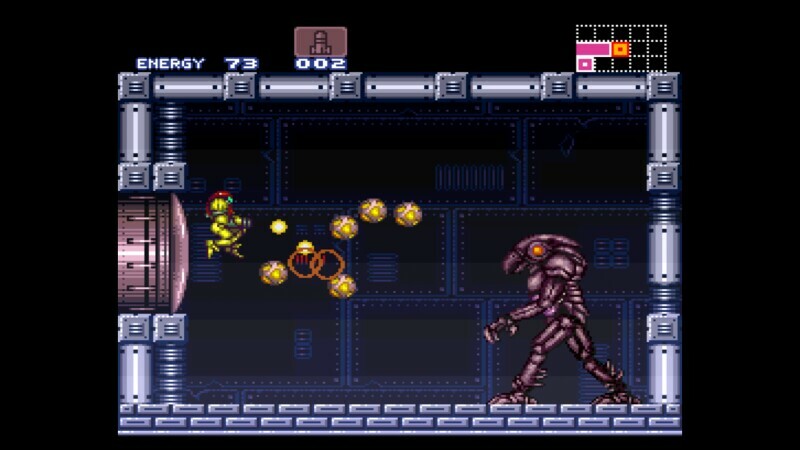 Super Metroid takes place directly after all the fun stuff that occurred in Metroid II: Return of Samus. 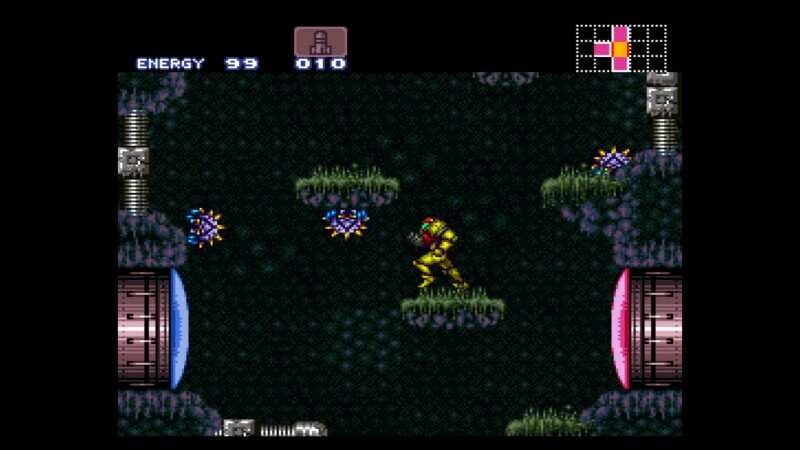 After defeating the Metroid Queen and coming across a Metroid larva which hatched from an egg, the Metroid larva seemed to think that bounty hunter Samus Aran is its mother. Samus Aran took the larva to a group of scientists at the Ceres Space Colony, who performed a series of tests and researched the larva. 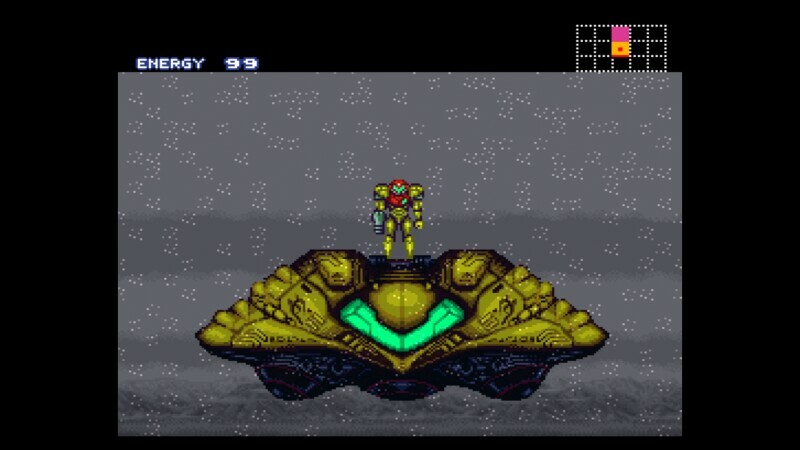 Not more than mere minutes after leaving the colony, Samus gets a distress signal, which has her gunship flying straight back to the colony, only to find the scientists had died and the Metroid larva gone missing. Following who she believes to be the culprit, Samus Aran tails Ridley to the planet of Zebes to find the missing Metroid larva and to bring Ridley to justice. The story elements are incredibly small in Super Metroid. 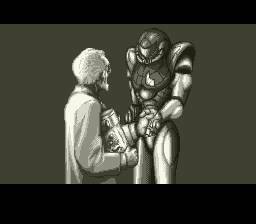 In fact, the only real cutscene occurs in the very beginning of the game. Everything else plays out in real-time, unlike Metroid Fusion, you are playing the game instead of being stopped constantly interrupted by exposition. 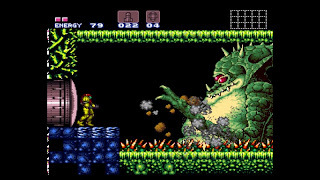 For those who have no clue what a Metroid game is like, where have you been for the past few decades? 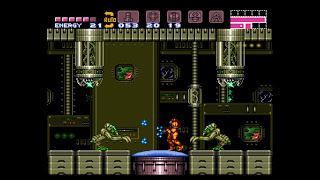 Regardless, Super Metroid has players venturing through a network of interconnected caverns and rooms in search of new power-ups and abilities. 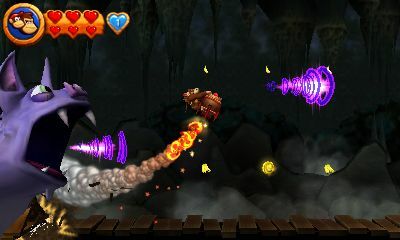 These new abilities grant Samus Aran access to previously inaccessible areas within planet Zebes. For instance, the Hi-Jump Boots give Samus the ability to leap higher than ever before, allowing her to reach high up platforms that she couldn't originally reach. Welcome to planet Zebes, Samus. Samus Aran has plenty of abilities that she can learn, such as her stand-in, the Morph Ball, allowing her to curl up into a small ball to slip through narrow passages. 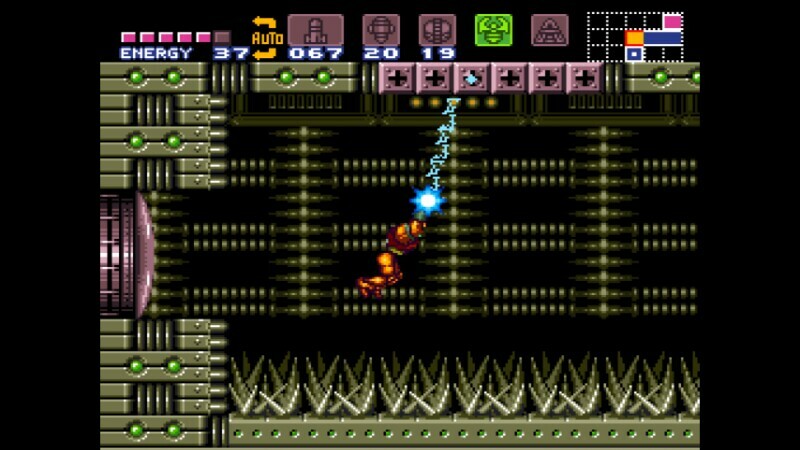 There's the helpful Grappling Hook, that allows Samus to swing from specially marked ceilings and walls. 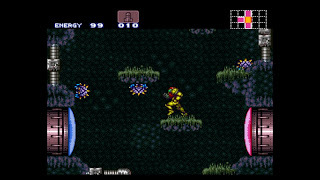 Then there's all the beam upgrades Samus can obtain, like the enemy-freezing Ice Beam; the Phaser, which allows Samus to shoot through walls, floors, and ceilings; and the Charge Beam, allowing Samus to charge her shots for maximum damage and efficiency. Follow all that with the helpful missiles, super missiles, and power bombs, that can clear out entire rooms of breakable blocks and enemies. Looks like Samus is certainly getting the swing of things. 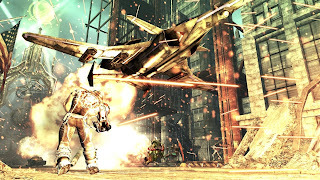 Not only do these abilities help Samus uncover new paths and the way to progress through the game, but they also allow her to come across upgrades to her missiles, super missiles, power bombs, and health. There are a multitude of upgrades hidden throughout the game, and a lot of them require certain abilities to obtain. The essential rule of Metroid games is to not believe anything. What I mean by this is that what looks like an ordinary wall can actually house a hidden upgrade or path to a secret room. This means missing upgrades is quite common when you first start out in Super Metroid. This can be annoying in the regard that if you forget about a certain upgrade and it is in a faraway place, you will have to do a lot of backtracking, a common element in Metroid-style games. red doors must be opened with missiles. That's one of the issues with Super Metroid and games of its style in general. There is a sometimes tedious amount of backtracking through familiar locales, rooms, and areas. So much so that it can really drain on the player, soil the experience, and ruin the pacing of the game. Let's face it, though, Metroid games aren't exactly the fastest in the pacing department anyway. Double the trouble for Ms. Aran! 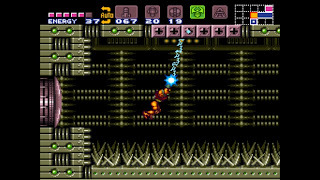 Another issue with Super Metroid comes from teaching yourself how to perform a certain technique. I'm, of course, referring to the wall jump. This move is needlessly complicated to pull off. It isn't as simple as say, New Super Mario Bros. or Mega Man X, so it takes some genuine skill to pull off. Normally in a game you'd just jump into a wall, hit the jump button, and voila! A wall jump is born. 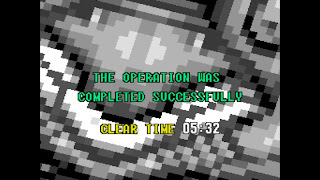 In Super Metroid, it is more complicated than that. You need to spin jump into a wall, hold the d-pad in the opposite direction of the wall you're leaping into, and then press the jump button. You can't press the d-pad and jump button simultaneously, or you won't wall jump. Given there's no indication of how to really pull of a wall jump in the game, trying to do so is a serious frustrating effort. 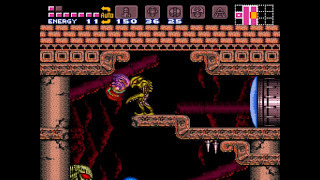 The main goal of Super Metroid is to explore a variety of themed areas like the fiery pits of Norfair or the submerged Miridia in search of new abilities and items to reach new areas. 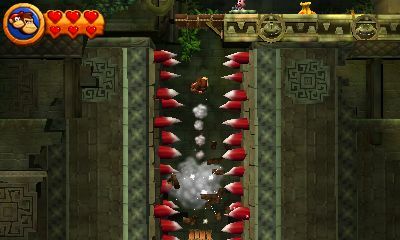 Generally the coolest and most helpful of power-ups are held by the game's powerful bosses, such as Kraid, Crocomire, and Ridley. These same bosses are the four generals of the Space Pirates, and must be beaten before Samus Aran can explore the deepest reaches of planet Zebes. 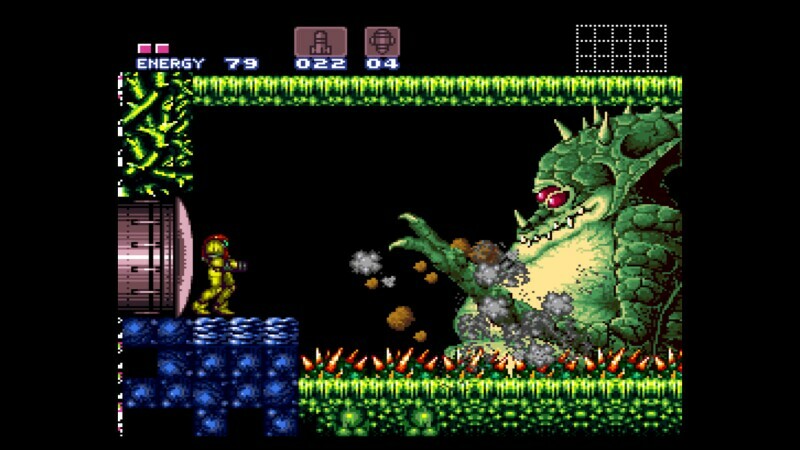 Super Metroid is a much better game than its predecessor on the Nintendo Entertainment System/Famicom. 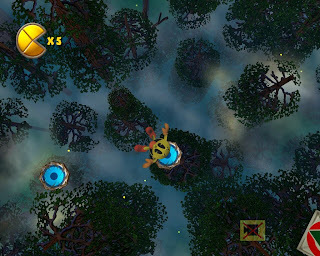 The areas have a much more varied look to them that sets them apart from one another, and the inclusion of a map allows the player to not get as lost so easily. The level design is superb, with hidden doodads located in some seriously clever places. 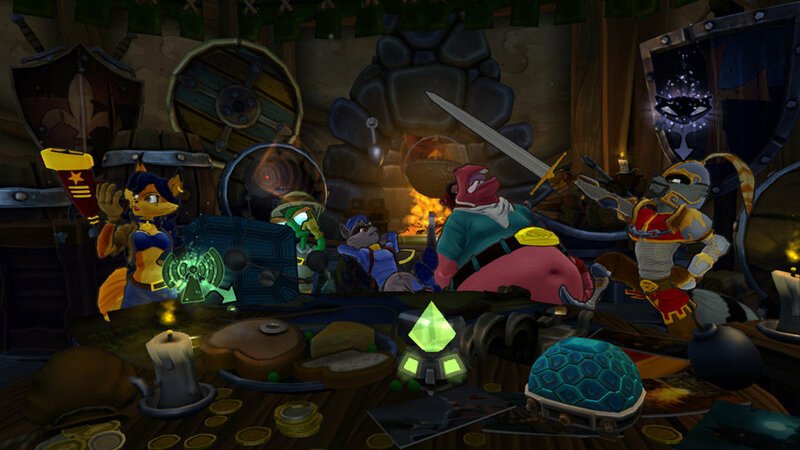 The entirety of planet Zebes feels like one cohesive world, oozing with environmental ambiance and personality. to give some bounty hunter-style justice! This is helped by the detailed graphical style of the game. Enemy sprites are full of life, backgrounds have plenty of the aforementioned personality and give off a great amount of ambiance, and everything generally runs at a steady clip. The only times the frame-rate chugs is when there are a lot of enemies on screen at the same time. 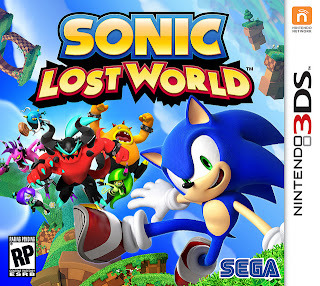 The music is full of atmospheric tracks, perfect for exploring the labyrinthine caverns and mazes of the game. even the statues want Samus eliminated! 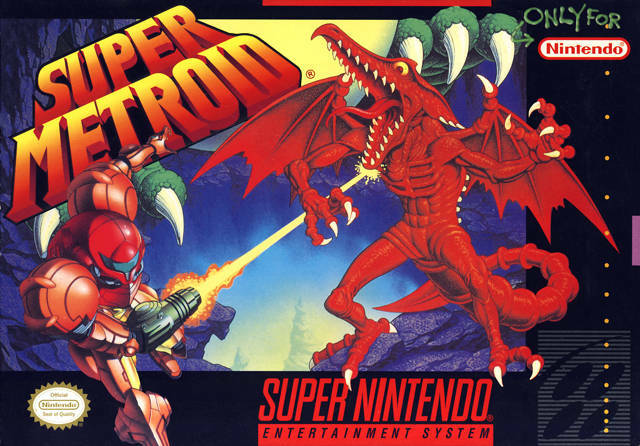 Super Metroid is indeed a classic, and one of the better entries in the legendary Metroid franchise. 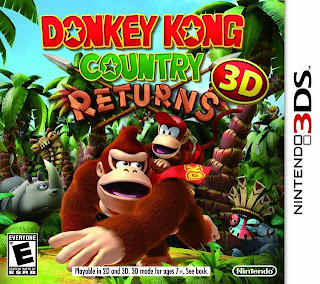 It's the type of game that's not for folks who are turned off by revisiting old locations time and time again. For everyone else, the creature-blasting, block-bombing, ability-getting gameplay is something that we at SuperPhillip Central can wholeheartedly recommend. 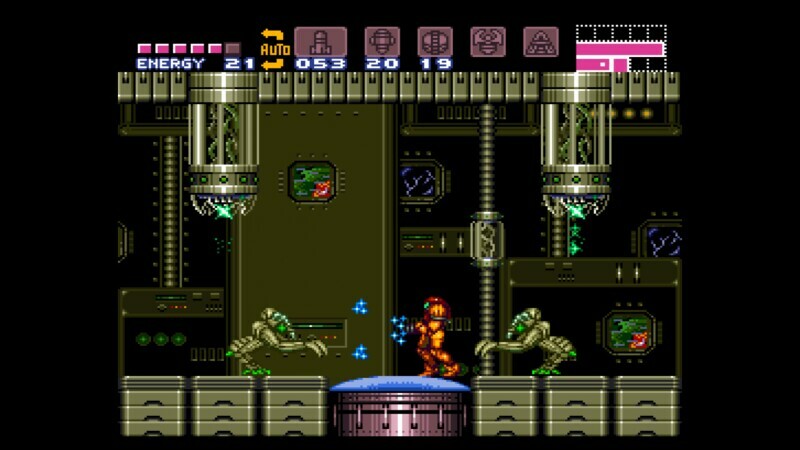 Regardless of whether you track down the original SNES cartridge or buy the game on the Wii U's Virtual Console (hurry, as the game is only thirty cents for a little while longer), Super Metroid will provide you with one of Samus Aran's most heralded missions. Welcome back, Ms. Aran. It's a pleasure to see you again. Phil here. 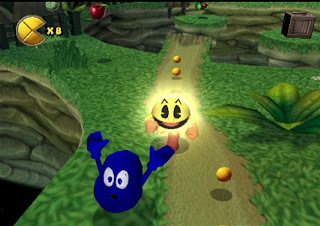 I got excited with the announcement of the Pac-Man and the Ghostly Adventures, as I have always enjoyed Namco's Pac-Man. It made me want to try out a previous Pac-Man platformer with Pac-Man World 2. Boy, was that a mistake. Here's my retro review of the game. "Pac" It Up, Boys. We're Done Here. The PlayStation 2, GameCube, and Xbox generation brought with it an astonishing amount of platformers, both 2D and 3D. For someone like me, it was one of the best generations because of that. Though popular in the 80's, Pac-Man never really gained the same amount of popularity and as much of a legacy that Mario, Sonic, Mega Man, among other mascots have acquired. 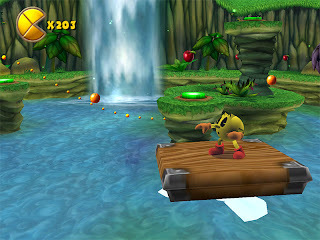 Pac-Man never truly went away, but his games weren't the big events that his contemporaries had. 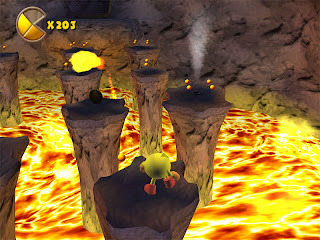 Namco wasn't willing to put the yellow sphere with arms and legs to rest as he appeared in non-maze game form with multiple platformers. Pac-Man World 2 is but one of these, and it's one that will make you want to play the NES port of Pac-Man. It's pretty bad. 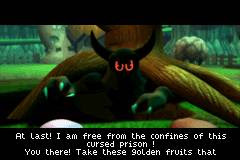 Pac-Man World 2 starts off with a batch of Pac-Man's rivals, the ghosts, picking cleaning the Magical Golden Fruit that rests on an ancient tree in the center of Pac-Village. Little do they know that by doing this, they have awakened a diabolical evil that slumbered below. Pac-Man once again enters the fray to visit six different worlds to beat up the boss holding onto each of the six Magical Golden Fruit. 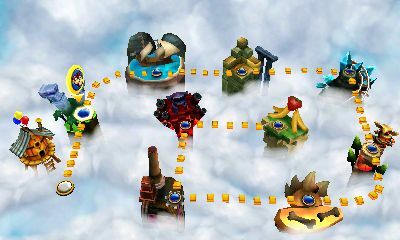 The worlds in Pac-Man World 2 for Pac-Man to explore are highly varied, though they rely greatly on established level tropes. These range from forests to icy mountains to plundering the depths of the ocean. Each world has about five or so levels to complete in them, including a brain-dead boss battle. I say this as the way to beat the boss of each world is literally shown to you via dialogue. I know the game is meant for kids, but kids aren't that stupid nowadays, are they? please do. These are bullshots. Each main level is laid out in a rather linear way. You must get from Point A to Point B without dying by losing all your health or falling down a pit. There are numerous fruit, gold tokens, and Pac-Dots to collect, all optional, but help get you towards that prestigious 100% completion percentage for each level. The only drawback here-- and it's a big one-- is that if you die, all of what you collected needs to be gathered again since your last checkpoint. The issue here is that the placement of checkpoints is not consistent. You might have upwards of five minutes to redo and collect everything all over again, and there's no guarantee you'll succeed as the levels can be quite challenging. against these otherwise impenetrable foes. However, it's not that the level design is what makes Pac-Man World 2 challenging. No, instead it is because Pac-Man controls as tightly as a pair of 2XL pants on a 98 lbs. girl. That is to say, not well at all. You never truly feel in control of Pac-Man in a genre where tight controls are paramount for a precision jumping-based platformer. high into the air, perfect for crossing large distances. Then there's the camera, which does everything in its power to get caught on geometry and make awkward angles that make carefully leaping across chasm to chasm an effort in irritation. Sure, you can use the right stick to try to fight with the camera, but it will be a futile battle as the camera always seems to do what it wants to do. To those wonder if there's any resemblance of the old Pac-Man arcade games to be found in Pac-Man World 2, there actually are. In every non-boss level there are hidden Galaxians that will transport Pac-Man into Maze Mode, where you get three lives to collect all Pac-Dots while avoiding the four ghosts pursuing you. These are honestly a good bit of fun, and it's a shame that more of Pac-Man World 2 couldn't play like this, as the 3D platforming just doesn't work well and feels incredibly unpolished. This second installment of the Pac-Man World series feels pretty cheap in the presentation department. Cut-scenes are as grainy as a bowl of a General Mills cereal, there's a good amount of slowdown, horrible camera angles, and eye-ruining jagged graphics. The only saving grace of Pac-Man World 2's presentation is the music, which consists of some rather catchy tunes. However, even then, most the levels of a given world are just the same melody with different instruments, so there is repetition to be had. Yes, these bad puns are free. 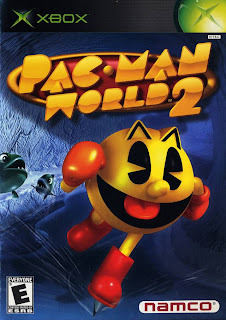 Pac-Man World 2 is an abysmal 3D platformer that struggles to keep the player entertained for very long before they enter a bout of immense frustration. The controls are too sloppy for the careful platforming Pac-Man World 2's levels require, the camera might as well be controlled by the ghosts as it is just another enemy to contend with, and the overall presentation just feels incredibly cheap. What is disappointing and aggravating is that there was a lot here that could have made for a good game had these aforementioned issues been addressed and/or given more time to stew in the proverbial pot. 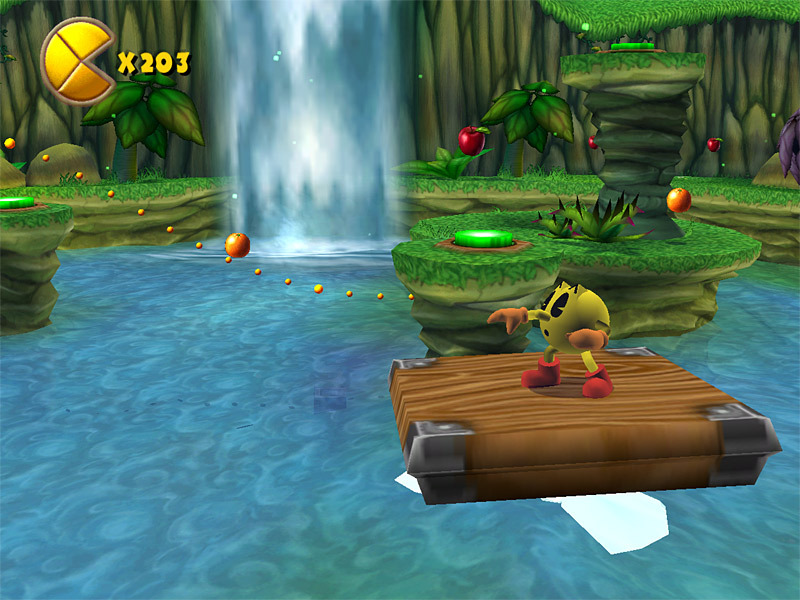 As it stands now, Pac-Man World 2 is one Pac-attack that you can gladly skip out on. What do you get when you take Sonic the Hedgehog and bring back that ill-fated Sonic XTreme gameplay idea? 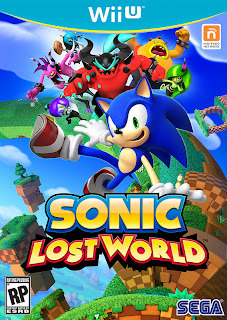 You get something that resembles a cross between that and Super Mario Galaxy, which in turn gets you Sonic Lost World, a Nintendo platform-exclusive game from Sonic Team. What we've seen so far of the game makes us quite excited. Here's hoping it turns out more like Sonic Colors and Sonic Generation and less like Sonic the Hedgehog (2006)!